Not interested in Peekskill ? Please choose a different community. With over 8 million records sold, and a multitude of chart-topping hits, Sugar Ray has been entertaining their fans for over two decades! When “Sugar Ray’s” breakthrough hit song “Fly” put them on the map in 1997, lead vocalist Mark McGrath was thrust into the public eye. There’s no doubt the band maintains its momentum due in no small part to the good looks, charisma, and talent of its front man, Mark McGrath. In 1997, following the success of their number-one hit “Fly”, Sugar Ray released its second album, “Floored”, which went double-platinum. 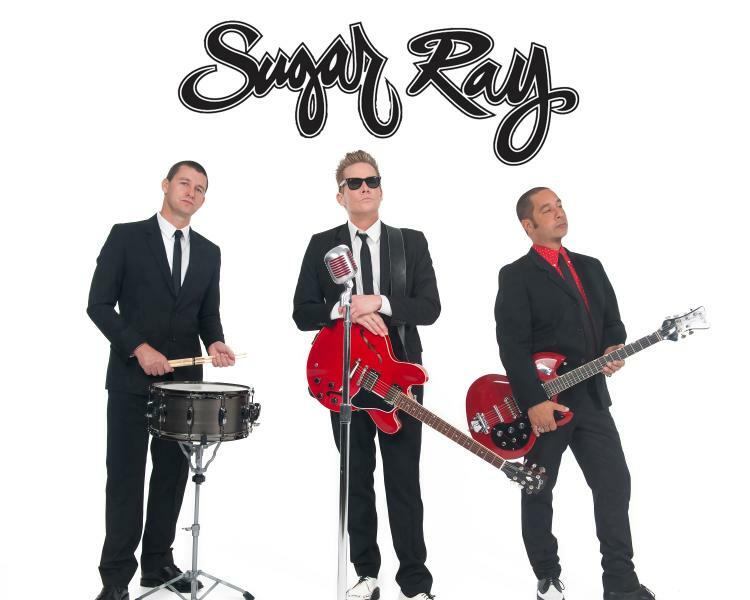 Sugar Ray’s success rocketed McGrath to pop-star status, as he graced the covers of “Rolling Stone” and “Spin”. He even made People magazine’s “Sexiest Man Alive” issue, named “Sexiest Rocker” in 1998. After “Floored”, Sugar Ray released “14:59”, in reference to its fading “15 minutes of fame”. Ironically, the CD wound up outselling its predecessor, going triple-platinum with hit singles “Every Morning”, “Someday”, and “Falls Apart”. Their success continued with the release of the self-titled album, “Sugar Ray”, which garnered the band its first ever Top 10 album. The band has appeared numerous times on The Tonight Show, The Late Show with David Letterman, Carson Daly, and The Today Show’s Summer Concert Series to name a few. In addition, McGrath has made guest appearances on the hit television dramas Las Vegas, North Shore, The Neighbors, The Office, Law and Order SVU, The Drew Carey Show, and more. He has been featured on a number of MTV and VH1 programs, including the Teen Choice Awards, My VH1 Music Awards. Rock ‘n’ Roll Jeopardy, the American Music Awards, and the ESPY Awards.